Home » How to evaluate a rental apartment? When you are relocating home to Toronto and you are looking for an apartment everything is hectic around you, sometimes you can choose wrong. If you choose wrongly you will end up in a bad apartment. A bad apartment means that at the first sight everything seems great and therefore you decide to move in. However, after some time you will start noticing some things that you won’t like one bit. Things like a leaking faucet or you will soon realize that you have a roommate in a shape of a cockroach. 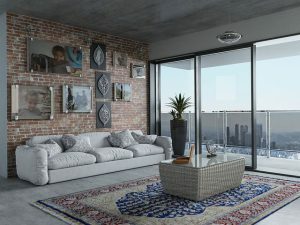 These are only some of the things that can show how good the rental apartment where you are planning to live really is. Evaluate a rental apartment before you decide to move in. In this way, you will avoid awkward calls to your landlord and other things that can make your life miserable in a wrongly evaluated apartment. Learn to evaluate a rental apartment? Once you find a cheap apartment for rent in Toronto, you will need to check the place. There are a lot of ways to check the potential apartment where you want to live. It is not all about the looks of the apartment you have to be able to look at it closely. You have to know exactly where to look. From the moment you call to check the appointment with your potential landlord to the moment you first enter the apartment, you need to know every step that you will take. Once you call the landlord, do not sound like you are in an urgent need to find an apartment even if you are. Also, do not make any agreements with him before you see the apartment. Once you get together and you enter the place where you will maybe start a new life, do not be ashamed of asking him anything you want to know. Once you get to the apartment, immediately look around even in the hallway. Do not feel shy or anything similar. That is the reason you are there, to look around. Do not hesitate to touch the walls or the furniture in case that the apartment is with the furniture. Anything that comes to your mind you should ask in order to properly evaluate a rental apartment. If you like the apartment at the first sight do not look too eager to start living there. Try to negotiate a bit. Even if you are not experienced in this try to seem like you know what you are talking about. You want to show confidence to the landlord. They also don’t want to rent the apartment to just anyone. They need to know that they can trust you and that you will be paying on time and that nothing will go wrong with the apartment while you live there. When it comes to the bathroom you want to check it as much as possible. In a way that everything is working. It doesn’t have to be perfect to the eye, that is something with what you can deal with later. However, it has to be clean and everything has to work. Even the slightest thing that you notice that it is not working immediately ask about it. 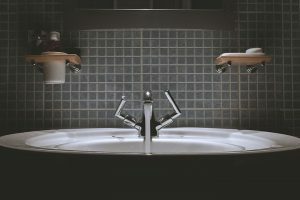 Is the landlord aware that the faucet is dripping? This may seem petty but it most certainly not. Even a small hazard can become huge at some point. You do not want to come home from work to a flooded bathroom. Everything is important. Once you sign the lease and you pay the deposit that apartment is under you and you will want to make your money worth. 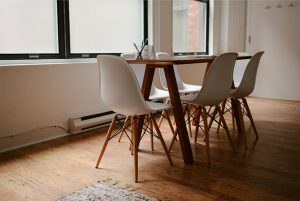 If you don’t inspect the apartment well before your move and after the contract has been signed, and something goes wrong it will probably be up to you to fix it. And that can cost you. These are some of the things that you should pay attention to when you evaluate a rental apartment. If you find someone who’s an expert for at least one of the things that we mentioned then you are lucky. If you do go alone, make sure that you check all of these things even though you are not sure you will be able to recognize a broken lock, drippy faucet or if there is no electricity. Just look and see if at least everything seems ok. If not just ask when it will be fixed. Evaluate a rental apartment with someone or on your own, but make sure you do it. It can look nice but it doesn’t have to mean that it will stay that way. It is not all about how it looks. Make sure to follow through all the steps and to check everything in the apartment there is to check. Remember that there are no stupid questions. Ask anything you want to know because you will live there and you will want the best for you. And once you move to the great apartment you want and need Toronto movers will be the ones to help you out and make sure that even this part goes flawlessly.